James Morris joined National Land Realty in 2019. James is a full-time waterfowl guide and has spent nearly 10 years working in the real estate industry. He has experience selling all different types of land, but he enjoys selling hunting tracts the most, specifically waterfowl tracts. 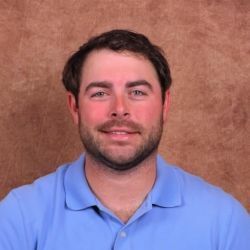 He is involved with several organizations including Ducks Unlimited, the National Wild Turkey Federation (NWTF), and the Quality Deer Management Association (QDMA). In his spare time, James enjoys hunting and fishing, as well as spending time with his fiancé, Tara. James currently lives in Mt. Pleasant, South Carolina, with his two dogs, Graham and Lucy.